Essential to make your fuel lines safe! 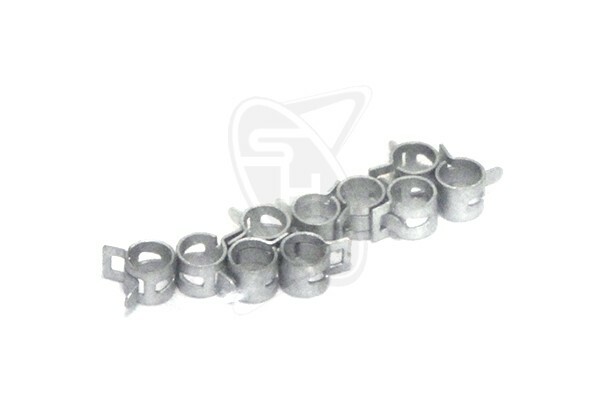 These special clamps are made of elastic steel. They have that ability to support the line with hurting it. Thus, if the expansion is heating, it automatically loosen up and tightens when cooling. Therefore no leakage possible. It also prevents the fuel line from disconnecting from clunk inside a tank, which causes the engine to stop. These 6mm inner diameter is suitable for Tygon® gas lines with an outer diametrer of approximately 6mm.